We have always believed that promotional staff have hurt the hunting industry. Giving people free gear to get them to talk about it creates false testimonials and how can you trust someone who doesn’t actually support the product? 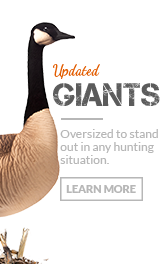 We have always wanted our customers to get reliable and truthful opinions on our decoys. The era of the traditional-style pro-staff, and it honestly helping companies look good and help customers, is long-since over. Sorry for the cynicism- it’s been a long day and there have been so many of these lately. While we feel honored and flattered that these people would consider representing us, I’m sure most people can see the huge problems here. 1- You want to represent DSD and be an ambassador for us, but you’ve never used our decoys? 2- Can we admit that after we say no thank you, you’ll just go down the list and call the next company? In other words, it’s not “DSD” that you like, it’s “free decoys” that you like, or the idea of “being sponsored”. 3- You’re currently a pro-staffer for another company (many times a company that we’re friends with, and use their products), and you’re shopping around for a better gig without them knowing, while telling us how bad their product is? What does that say about the other company and their products? What does that say about you? Are we to believe that you won’t do that after you become a DSD pro-staffer? 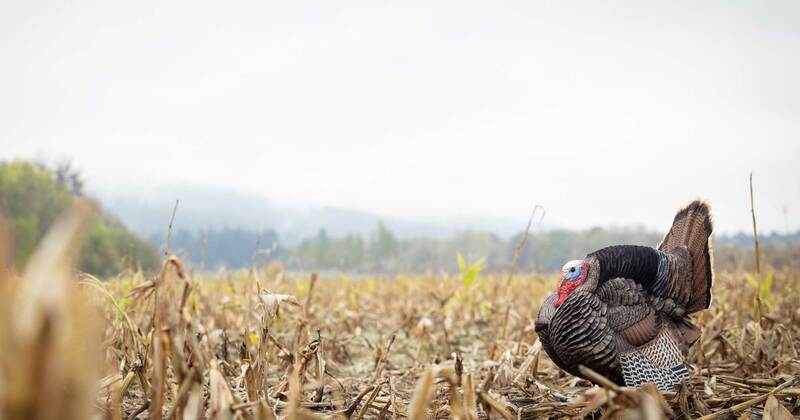 4- If you can’t kill birds properly and at close range with the other decoys (which we usually find out after watching the excruciating teaser video of you guys water-swatting birds on a roost pond on the opening day of the September season, then DSD’s won’t solve the major problems. 5- Now when you go online and add 58 hashtags above each of you and the “wrecking crew’s” hero pics standing over your pile of September geese, and say something like: “we’d like to thank our sponsors”, what good, honestly is this going to do? Who will believe that you love DSD’s so much that you would’ve gladly bought them on your own, and paid full price? No one, because you don’t, and didn’t. The above is not meant to offend anyone, it’s merely trying to explain why DSD doesn’t currently have a Pro-staff, and hoping you can put yourselves in our position for a minute. The era of the traditional-style pro-staff, and it honestly helping companies look good and help customers, is long-since over. At DSD, we have an inside joke that says the “pro” in pro-staff initially meant “professional”, then evolved to “promotional”, and is now at “prostitution” lol. We are in the era of posed pictures, hashtags, and a huge need for recognition. We gravitate toward those who are great hunters, and do it because it’s FUN. Think of the classic pro-staff as a perfect fit for a company that doesn’t have an R & D department, puts little effort into the product, but has a huge marketing budget. The need is to promote, promote, promote, to make sales. You simply get an army of pro-staffers that will go online and say whatever you need them to say about how miraculously-well the decoys work, and pay them in product, or product discounts, apparel, stickers, etc. DSD has an ENTIRELY different business model. Your money goes into the PRODUCT. We have a TINY marketing budget. We try to make a product that sells itself. If we make a bad product, we can’t make up for it with an army of pro-staffers, we would simply die as a business. Our customers are the very best hunters on earth; they’re SMART. They’re not remotely the type that would fall for promotion by a pro-staff. We want every single thing said on the internet or anywhere about our product, to be 100% REAL and UN-PROMPTED. Un-solicited and honest. Everyone these days knows full-well that pro-staffers get compensated to say positive things about the company they represent, so why would anyone take what they say seriously? The answer is, the people who do, wouldn’t make very good DSD customers, and the people who don’t, make GREAT DSD customers. Do we occasionally need help developing products or even representing DSD at trade shows? YES! But when we do, we partner-up with longtime customers who have, for years, already taken it upon themselves to become an ambassador of DSD. They’re people who we know like and use the product because they paid full price for it as opposed to getting it for free or cheap like a pro-staffer does, and we know they’re deadly killers in the field. It is always a labor of love for them because they are truly excited about DSD, but we still reward them well, and appreciate their help and input on the product, and our friendship. So again, we TRULY appreciate all the inquiries about partnering-up with DSD, and are glad you’ve taken an interest in DSD- we know so many people really DO love DSD and want to pro-staff only for DSD, but we owe it to anyone doing a search online about us, to make sure that everything said is real and can be trusted. 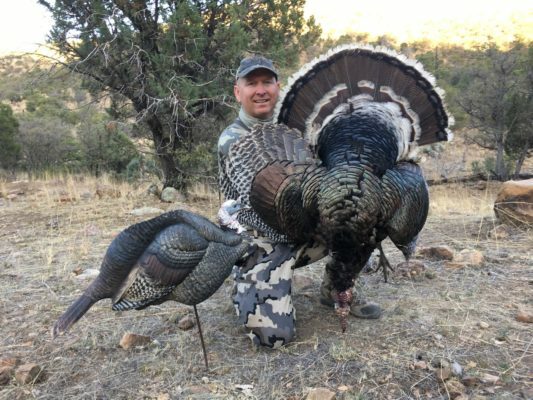 A few companies in the hunting industry have found ways to have a very successful, and fully-vetted team of ambassadors without having a traditional pro-staff, so we know it can be done. At some point, we may go this route, but at this time, we don’t have any kind of official staff.